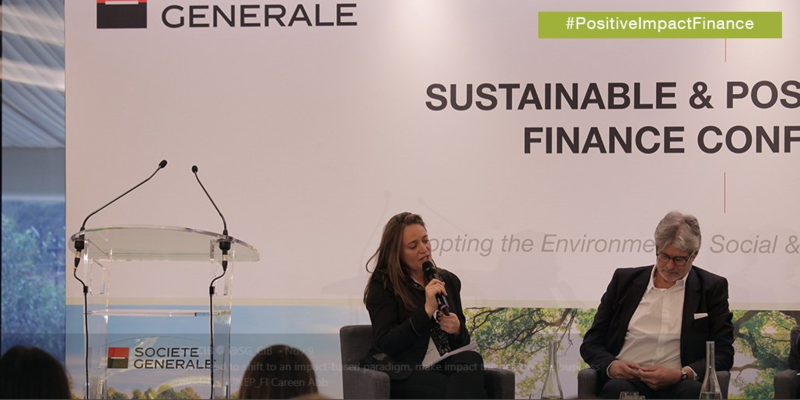 For the second consecutive year Societe Generale organised the Sustainable and Positive Impact Finance Conference in Paris on November 9th 2017. This conference gathered nearly 200 Corporates & Financial Institutions to discuss what is at stake when no actions are taken to tackle climate change and what are the potential solutions or pathways, with finance being at the heart of this essential shift to more sustainable development. Other discussion topics included a review of specific market trends in the ESG space and of solutions to transform ESG principles into financial reality. Amongst the keynote speakers were: Careen Abb, program leader of Positive Impact Finance at the United Nations Environment Program; Philippe Le Houérou, chief executive officer at the International Finance Corporation (World Bank Group); and Jacques Attali, President at the Positive PlaNet Foundation. Societe Generale has been at the forefront of Positive Impact Initiative’s development, being a key partner in the release of the Positive Impact Manifesto in 2015 and the 2017 launch of the Positive Impact Principles. Additionally, they have since succesfully issued two Positive Impact bonds (2015 and 2016). More information on Societe Generale’s approach on Sustainable and Positive Impact Finance can be found here. Press release: “Coming together in support of sustainability”, 24 November 2017, CNBC. Read more.